Got my DD-1 just a lil bit ago just waiting after work to use it! 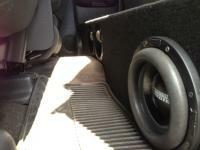 Cant wait for my system to be nice clean and loud sound! not much hows your 15 soundin?